TOYOTA RAV4 2.0 D-4D GX 5dr. Save £2,071. Showroom4cars.com price £16,899. 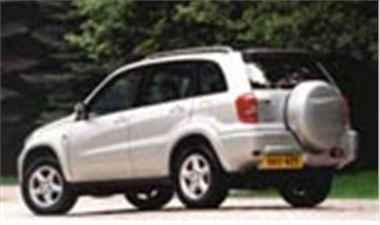 TOYOTA RAV4 2.0 D-4D VX 5dr. Save £2,071. Showroom4cars.com price £18,899. are free from exchange rate fluctuations. All prices include delivery to the UK, 12 months vehicle excise duty and first registration fee. More information from www.showroom4cars.com, or by telephoning the sales hotline on 0870 753 4444.